Introducing a New Language-Learning Youtube Series with Mango. 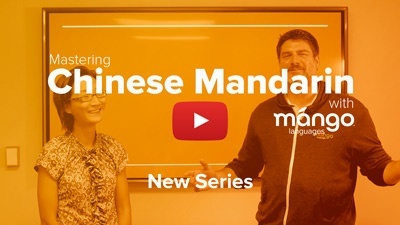 Build Chinese Mandarin conversation skills with Mango’s free language videos. Mango is excited to release our new Mandarin video series just in time for the start of this year’s Mid-Autumn Festival, that kicks off October 4th. This never-before-seen-content extends beyond Mango’s Chinese Mandarin course, providing supplemental lessons to help learners converse in this complex language. Introduce your learning community to the series, and start them on their journey to mastering the most widely spoken language in the world. Click the image below for a preview of the series. Reading and writing basic pinyin. Learning stroke order for writing characters. Discovering variations on common phrases. Like what you see? Learn more about Mango’s Chinese Mandarin course. © 2007-2016 Mango Languages. All Rights Reserved. You received this email because you are subscribed to Product Announcements from Mango Languages.